The Crossways Inn has claims to originate around the 17th century. Its situation would have made it a calling stage for coaches and carriages. Being adjacent to the Common, it would have been part of the scene of the fairs and animal markets which occurred there until the late-19th century. There is photographic evidence of hunts meeting there. At the time of writing, a marriage is due to take place at the pub across what is termed the 'chapel bar". The historical whys and wherefores of a ceremony of this type are unknown. 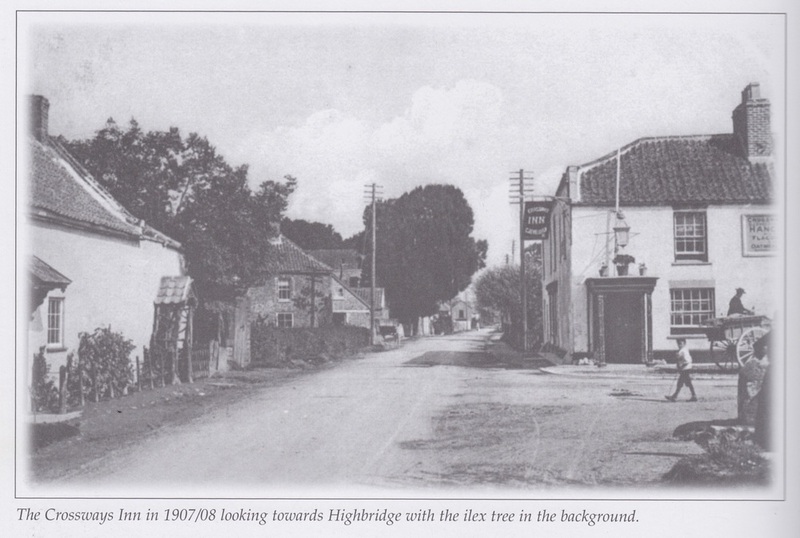 The Crossways Inn in 1907/08, looking towards Highbridge with the ilex tree in the background.